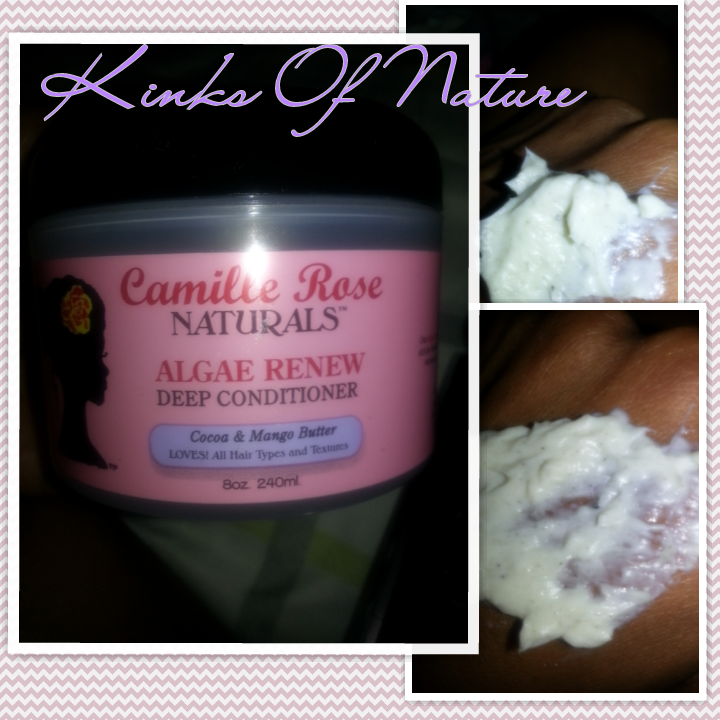 Not on the HG list (yet), but I freaking love this stuff: Camille Rose Naturals Algae Deep Conditioner. It's the only deep conditioner I've used in April and would probably still be using it if I hadn't finished my only jar. Product Claims: Camille Rose Naturals Algae Renew Deep Conditioner is hand-mixed with amazing Blue Green Algae, which is rich in Vitamin B, and helps to improve hair cell regrowth, stops shedding/breakage resulting in stronger, longer hair. Deeply penetrates and remoisturize dry an brittle hair. Increase body and shine THE NATURAL WAY! 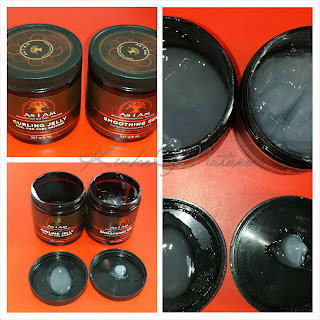 Ingredients: Deionized Water, Aloe Vera Juice, Butyrospermum Parki (Shea Butter), Cocos Nucifera (Coconut Oil), Behentrimonium Methosulfate, Cetyl Alcohol, Dipropylene Glycol (BTMS) , Theobroma, Cacao (Cocoa) Butter, Mangifera Indica (Mango) Seed Butter, Cannablis Sativa (Hemp) Seed Oil, DI Panthenol, Mel (Manukla Honey), Vegetable Glycerin, Camellia Sinensis (Green Tea) Extraxt, Simmondsia Chinensia (jojoba) Seed Oil, Rosa Canina (Rose Hip) Fruit Oil, Bitis Vinifera (Grape) Seed Oil, Oenothera Biennis (Evening Primrose) Oil, Phenoxyethanol and Caprylyl Glycol, Blue Green Algae, Dimethyl Sulfone (MSM), Biotin, Tocopheryl Acetate (Vitamin E), Mentha Piperita (Peppermint Oil) and Scent. Thoughts: I wanted to hate this because of the price, but it's a really good conditioner, moisturizes and softens. When I use this, I do the baggy method for a few hours or overnight. I've used it after henna treatments and moments of extreme dryness, and it just makes my hair feel right again! I do have less shedding, but I don't think it's solely because of this conditioner. Whenever I use it, I know softness and moisture are guaranteed. Though Algae Renew Deep Conditioner is very thick, it aides in detangling. Product consistency is shown in the above image. The greenish-brown flecks are the bits of algae. It smells like hot cocoa with a sprig of mint. Love! I can't comment on the customer service since I've never had to interact with them, but they are active on social media sites and interact with followers. Note that the reviewed formulation here is the latest one. Camille Rose Naturals Algae Renew Deep Conditioner retails for $17.50 - $20.00 for an 8oz. It can be purchased from select online and local stores, including Target, as well as the official Camille Rose Naturals site. All Target locations are listed on the Camille Rose Naturals Facebook page. Would I repurchase? : YES!...on sale.